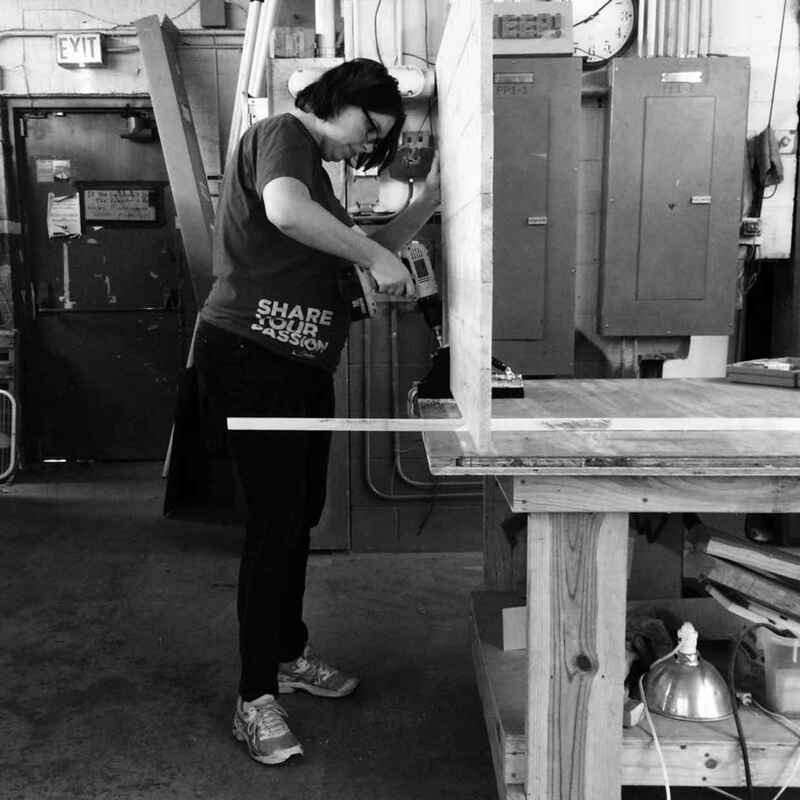 There is a rather large gender gap in the makerspace community; one that has mirrored the well-documented gaps in various STEM fields, and while some proactive spaces have increased their efforts to support inclusivity, it has proven to be an uphill battle for others. It’s achievable though, with many examples (such as Artisan’s Asylum welding courses and the existence of Double Union) that show signs of the maker community championing incredible initiatives. I’m glad to see that the latter is the case for current Pumping Station: One member Erica Tesla. Nobody’s going to judge you for your newfound obsession with molecular gastronomy — the people who frequent makerspaces just want to be around others who unironically like stuff. In a way it’s like the opposite of the Internet — no hate in the comments. The space I’m a member of actually tells prospective members during orientation: “If you can undo in it in less than four hours, don’t ask permission, just do it.” I gather dudes get that sort of advice all along, but we don’t; it’s liberating and confidence-building. Personally, as a founding member and former Board member of Pumping Station: One, I find it encouraging that years later the space I once called home has marched forward. They’ve taken the proactive steps necessary to improve their onboarding experience, and have worked to make their space more inclusive to a wonderfully diverse community. I can personally vouch that this was one of our weaknesses back in 2009. For years keeping the lights on was the priority, and our small band of 30 members were close but consequently less approachable to new folks. I’d categorize our early attempts at membership as hectic, inconsistent, and full of what Erica labels as “a lot of testosterone and at least a dozen glorious beards.” I credit the efforts of former Pumping Station: One presidents Anne Petersen and Bryanna Denney for not just prioritizing efforts to better equip new members, but tirelessly pushing to ensure a safe and inclusive environment for everyone. At 372 members as of January 2015, it’s clear that the Board of Directors have done something right. However there’s still plenty room for improvement for makerspace recruitment. While it’s safe to say that the majority of our readership has at least a passing knowledge of makerspaces, many organizations are still relying on mere word-of-mouth advertising. Don’t believe me? Check the comments at the bottom of the linked article and you’ll see firsthand the growing excitement from an entirely new set of makers who are excited by the prospect of cultivating their interests. That’s great. It’s still new to somebody — and that’s exactly why we put the hours into a makerspace in the first place. New perspectives and backgrounds enrich communities with different skill sets and collectively grow the group’s knowledge base. Having the framework to bring new members from a variety of backgrounds to your makerspace ensures long-term success. Don’t misjudge though; the efforts of inclusivity are far from solved. What we see here from Erica Tesla is the sign of an ongoing process, one that takes time but thankfully show signs of moving forward. I’m happy to see progress; even if it’s one person at a time. What about your makerspace? What has your community done to reach out to a more diverse membership? Perhaps your space has always been inclusive; what efforts do you think contributed to that? What failed? Let me know in the comments!